Malden is a city in Middlesex County, just five miles northwest of Boston. It was founded by Puritans in 1640 but incorporated as a city in 1882. 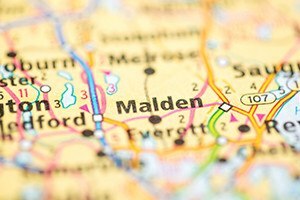 Malden played a pivotal role in American history when it was the first town to petition for withdrawal from the British Empire. Today, it has more than 60,000 residents, according to the U.S. Census, and it is home to a number of manufacturers, including furniture, machinery, and tea and coffee companies. Malden residents who need legal advice on a real estate or workers’ compensation matter can consult the attorneys at Pulgini & Norton. We have the skill and knowledge needed to protect your interests. Many workers are injured while performing their jobs or develop illnesses from their workplace conditions. If you become sick or are hurt while on the job, you may be eligible for workers’ compensation. By law, employers in Massachusetts must carry this insurance, which covers lost wages and medical costs for a work-related injury or illness, among other benefits. Workers’ compensation is a no-fault system, which means that you can receive benefits regardless of who caused the harm. In exchange for these benefits, an injured employee essentially gives up the right to sue the employer for negligence. Partial disability. You can continue to work despite your condition, but your earning capacity is reduced. You can receive up to 60 percent of the difference between your weekly wage before and after your injury for a maximum of five years. Temporary total disability. You are totally disabled as a result of the injury or illness, but the condition is only temporary. You can get up to 60 percent of your pre-injury weekly wage for up to three years. Permanent total disability. You can no longer perform any work because of your condition. You can receive up to two-thirds of your pre-injury average weekly wage for the duration of your injury or illness. Wage benefits are subject to the state’s average minimum and maximum weekly wage limits. This amount changes on an annual basis every October. You may also be entitled to cost-of-living adjustments if you have received benefits for at least two years. Your employer’s insurer will decide whether to approve your claim. It will go over your medical exams and history, including any pre-existing conditions, and the circumstances of your injury or illness to determine if you qualify. If it disputes the severity or nature of your condition, you can appeal to the Department of Industrial Accidents (DIA), which is the agency that oversees the workers’ compensation system in Massachusetts. You have up to four years from the date of your injury, or the date you discovered a connection between your condition and your job, to file a benefits claim. As a homeowner, you may face legal issues stemming from a variety of real estate concerns. These can include obtaining a special permit or variance from the Malden Zoning Planning Board or Board of Appeals if you want to make certain changes to your property. You may also want to try to reduce your tax liability if you qualify and apply for an exemption or abatement. Or you may need to find a way to maintain your homeowners’ insurance to avoid accelerating payment on the full balance of your mortgage. Buyers and sellers of real estate also will need guidance throughout the sales process. This typically involves negotiating the purchase and sale agreement, securing a mortgage, and properly conveying title from one party to another. Our attorneys can help you protect your interests while limiting any impediments to the closing. At Pulgini & Norton, our workers’ compensation and real estate lawyers have over 40 years of combined experience assisting people in Malden and the surrounding communities. We can explain the legal implications in a property transaction or regulation, discuss how you can address these issues, and help you protect your interests. We provide seasoned representation in workers’ compensation claims, including appeals and settlements. Call us at 781-843-2200 or contact us online for a consultation.